Dr. William Foshee currently serves as the American Chiropractic Association Commission on Diversity Chair and on the Next Gen ACA committee. He is a 2017 graduate of Northwestern Health Sciences University where he was recognized as a Diversity Leadership Scholar and was named a PFund Foundation Scholar for his contributions to the LGBTQ community. Dr. Foshee practices in Dallas, Texas and endeavors to positively impact culturally competent delivery of chiropractic care both locally and nationally. Dr. Rebecca Warnecke is currently in her second year of practice as an associate doctor of chiropractic at Hartman Family Chiropractic in Jenison, MI (Grand Rapids). Although originally from Lake Geneva, WI, she went on to study Pre-Med at Iowa State University on a 4-year, full-tuition academic scholarship and graduated with a degree in Psychology and Biology. She then graduated as the salutatorian of her class from Palmer College of Chiropractic in Davenport, Iowa. 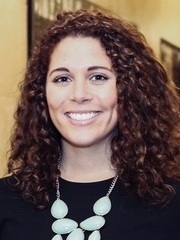 Prior to graduating from Palmer College, Dr. Warnecke completed an eight month clerkship at the Martinsburg VA Medical Center in West Virginia where she provided chiropractic care to Veterans working in an interdisciplinary environment alongside primary care physicians, interventional anesthesiologists, interventional radiologists, physical therapists, orthopedic surgeons, and rheumatologists. She is an active member of both the American Chiropractic Association (ACA) and Michigan Association of Chiropractors (MAC). For ACA, she currently serves as a committee member on both the Commission on Diversity and Quality Assurance and Accountability. Through the MAC, she serves as a member of the Government Relations Committee. Her passions include serving Veterans and the underserved Hispanic/Latino population, research, and academia. What are some specific examples of diversity (race, gender, culture, etc.)? Why is it important in the chiropractic profession? What are the examples of diversity helping/hindering chiropractic (as a profession and/or on the individual patient level)? Why has the ACA convened the diversity commission? What are common misconceptions about diversity? Diversity in the chiropractic profession: preparing for 2050. Johnson, C. D., & Green, B. N. (2012). The Journal of Chiropractic Education, 26(1), 1–13. Multiple views to address diversity issues: an initial dialog to advance the chiropractic profession. Johnson, C., Killinger, L. Z., Christensen, M. G., Hyland, J. K., Mrozek, J. P., Zuker, R. F., et al. (2012). Journal of Chiropractic Humanities, 19(1), 1–11. To be contributors to society, it is not necessarily enough to acknowledge that we each have a different way of interacting in the world. To be truly effective, we must understand and grow from the richness that others offer to the social fabric. – Claire Johnson, et al. Multiple views to address diversity issues: an initial dialog to advance the chiropractic profession. Would you mind getting an occasional e-mail from me to let you know when I post a new episode or want to share another interesting discovery? Sign up for my Occasional E-mail Newsletter here.